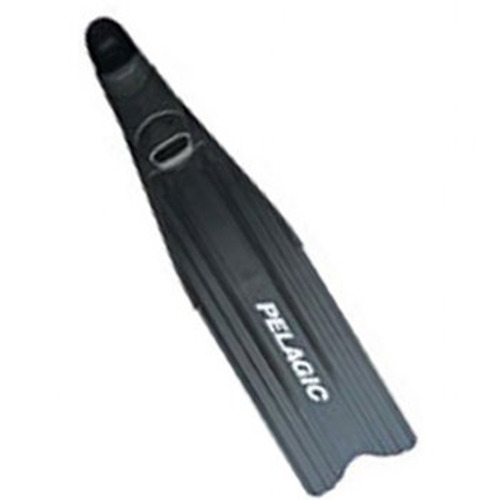 The patented Hollis F2 Fin is designed to add blade surface on both the downstroke and upstroke to increase your efficiency with any type of kick. 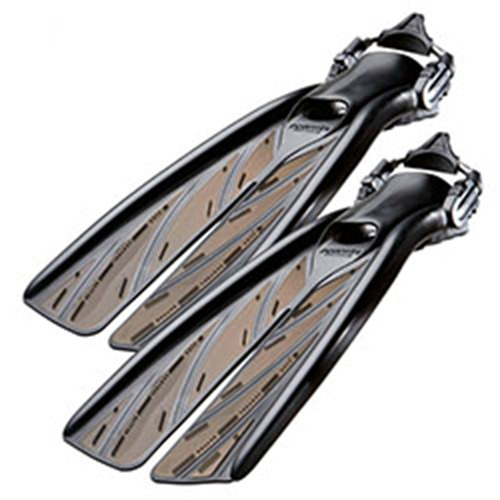 Increase your power to weight ratio with our new F2 fins. 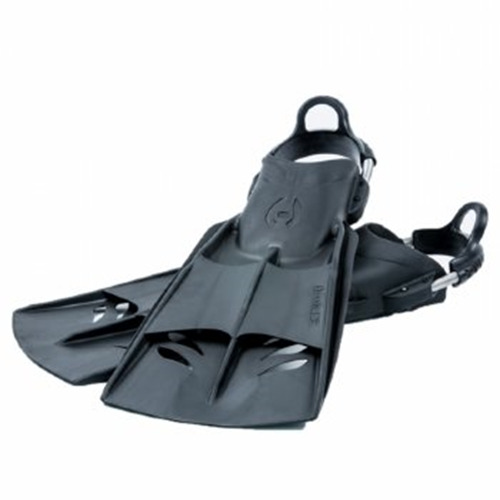 If you are a traveling diver, looking to reduce weight or just favor a lightweight fin, look no further. The patented F2 is designed to add blade surface on both the downstroke and upstroke to increase your efficiency with any type of kick. 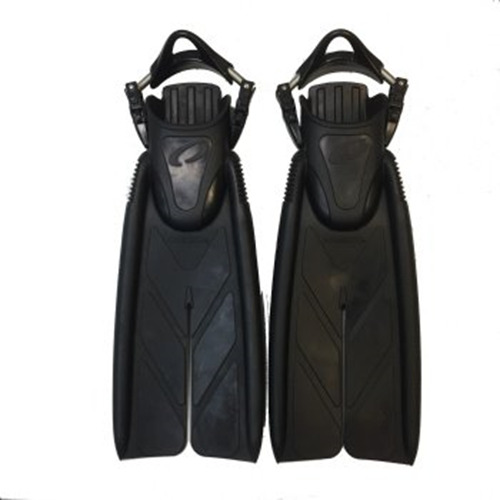 The F2 is injection molded using monoprene and uses a shorter blade design which packs easy and improves agility in tight areas. 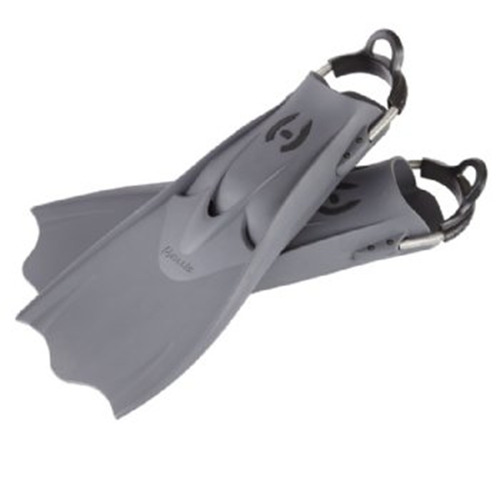 Standard with adjustable stainless steel spring straps.